With these additions, Vistara airline will connect Kolkata directly with Delhi, Chennai, Port Blair and Kochi. Vistara will soon introduce other new routes from Kolkata. Vistara airline today announced new flights starting from Kolkata. Vistara's flight service from Kolkata, which will begin from March 25, will offer double daily flights between Kolkata and Chennai, as well as a direct same aircraft service to Kochi via Chennai, the airline said. Vistara, a joint venture between Tata Sons and Singapore Airlines, has also increased its frequencies between Kolkata and Delhi with the launch of a third daily flight, the airline said in a statement. With these additions, Vistara will connect Kolkata directly with Delhi, Chennai, Port Blair (Andamans) and Kochi. Customers from Kolkata can also connect via Delhi to many other domestic and international destinations, including Chandigarh, Srinagar, Jammu, Amritsar and Lucknow domestically, and multiple cities internationally through Vistara's 21 international interline partners, Vistara said. Vistara will soon introduce other new routes from Kolkata, the release said. Sanjiv Kapoor, Chief Strategy & Commercial Officer, Vistara, said, "Our Kolkata flights have high loads in all classes, and we are truly grateful to our customers for placing their trust in us and making us their airline of choice in such a short span of time. Our strong acceptance in the market indicates there is room for a quality full service carrier in the market, with a sizeable base of customers in all market segments including corporates." 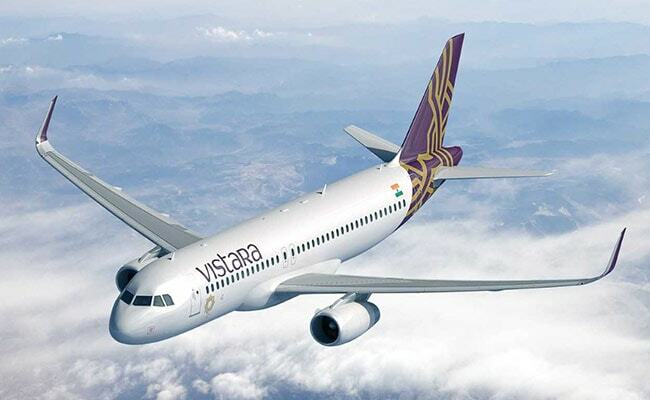 Recently, Vistara started operating daily direct flights between Delhi and Chennai.